The surgeons from the Almazov National Medical Research Centre performed a unique sophisticated procedure to remove a malignant kidney tumor. 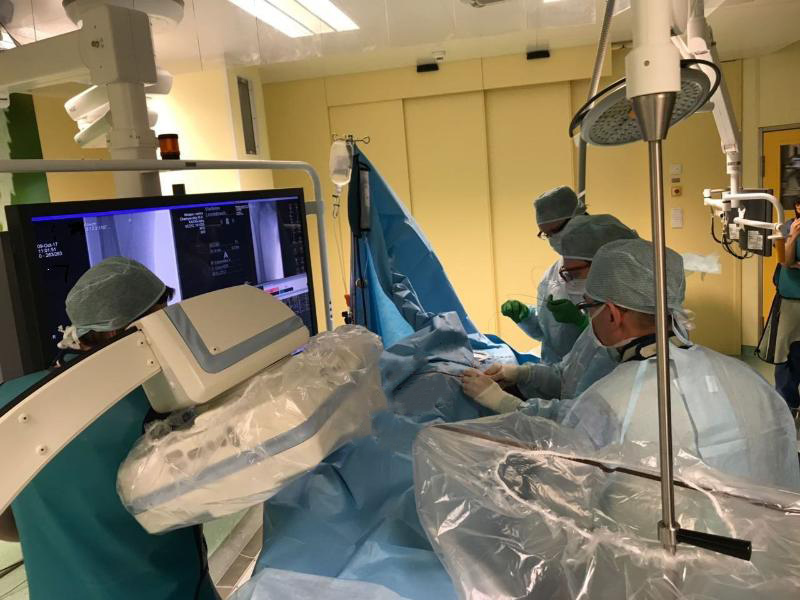 In January 2018, two surgical teams led by Professor Mikhail Mosoyan, head of the Urology and Robotic Surgery Department, and Dr. Mikhail Chernyavsky, head of Vascular and Interventional Surgery Research Department, were the first in Russia to perform a combined high-tech procedure in a 49-year-old patient with a large malignant kidney tumor complicated by a tumor thrombus in the inferior vena cava and metastasis in the right adrenal gland. The surgeons applied a two-stage technique. The first stage was performed at the hybrid operating room and involved the embolization of the renal artery with special coils inserted through a puncture in the femoral artery. It helped reduce the risk of massive bleeding during the second stage. Then, the da Vinci S robotic surgery system was used to laparoscopically remove the kidney with the huge tumor and the adrenal gland with metastasis as a whole as well as the tumor thrombus from the inferior vena cava. The defect in the inferior vena cava was sutured. Despite its large volume and complexity, the surgery was minimally invasive. It should be noted that considering the extensive tumor thrombus, the operating room was prepared for a robotic prosthetic repair of the inferior vena cava, but fortunately was not needed. 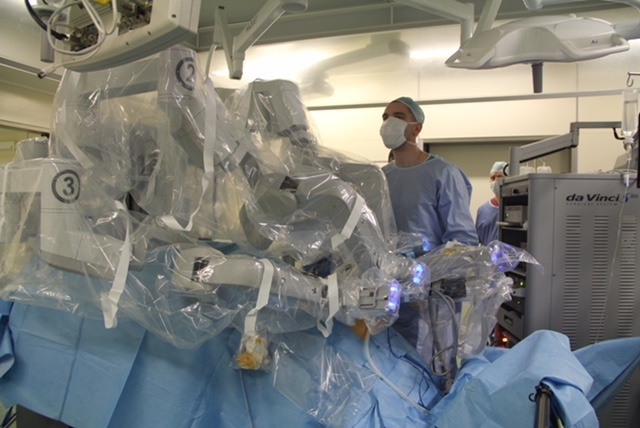 Thanks to the unconventional fusion of hybrid and robotic technologies, the main part of the procedure was almost non-invasive, with prior ischemization of the organ. High expertise and team cooperation of various specialists coupled with the state-of-the-art facilities available at the Centre allowed the surgeons to perform a minimally invasive surgery and achieve the best possible result for the cancer patient.